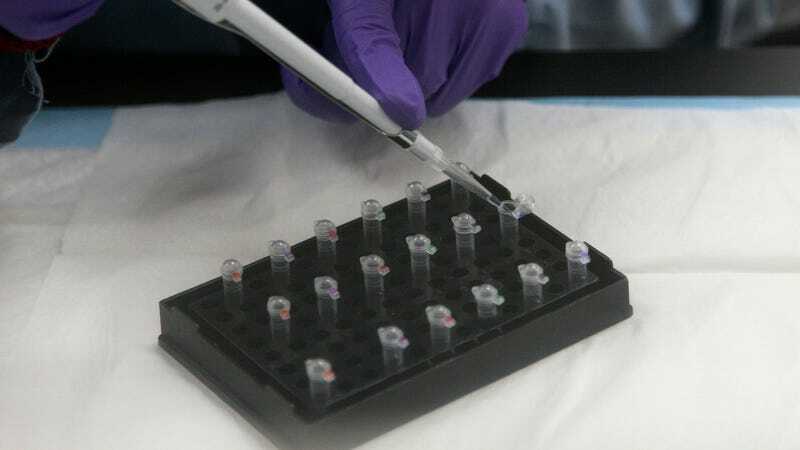 Some of the top genomic-testing companies have agreed to abide by a new set of guidelines when sharing consumers’ DNA information with law enforcement and other third parties. Companies 23andMe, Ancestry, Habit, Helix, and MyHeritage released on Tuesday a guide, “Privacy Best Practices for Consumer Genetic Testing Services,” which the companies plan to follow moving forward. Under the new voluntary protocols, these companies will obtain separate consent from users before sharing “individual-level information,” including personal information and genetic data, with other businesses. The new guide also says that the companies will provide an annual report that shows how many requests they received from police, similar to those issued by companies like Facebook and Google. In April, California officials revealed investigators had used information from genealogy websites to figured out the possible identity of the Golden State Killer after he had eluded authorities for 44 years. But those investigators did not acquire a court order to retrieve the data since they used GEDmatch, which uses publicly shared raw genetic data. The incident stoked concern about how businesses handled users’ DNA data. The Future of Privacy Forum worked with the businesses to create the new rules. “I don’t think the average consumer has wrapped their head around the range of issues they should think about when they make a decision to share [DNA] data,” Jules Polonetsky, the non-profit’s CEO, told the Washington Post. Polonetsky told the Post the Future of Privacy Forum had been working on the new guidelines for months before the Gold State Killer news. Genetic-testing companies will likely only become more prevalent and popular over the next few years. Last week, 23andMe announced it is partnering with the pharmaceutical behemoth GlaxoSmithKline, giving the company access to 23andMe users’ genetic data, which 23andMe says will be stripped of identifying information and only used when consumers have previously given consent. GlaxoSmithKline will use the data to aid the development of new drugs. As the Post points out, under these new rules, the companies still aren’t required to tell users when their anonymized genetic data is used in research along with other people’s data. And customers may be left in the dark when their information is obtained by law enforcement, when gag orders are used. Ancestry and 23andMe already provide transparency reports, including law enforcement request numbers. 23andMe said that it has not shared information with police for any of the five requests sent to the company this year. Ancestry’s report shows that police sent the company “34 valid law enforcement requests” in 2017, and Ancestry provided information in all but three of those cases.